Lyft has entered into a partnership with Baltimore Bike Share, on the heels of Uber's entrance into the San Francisco bike-share market. 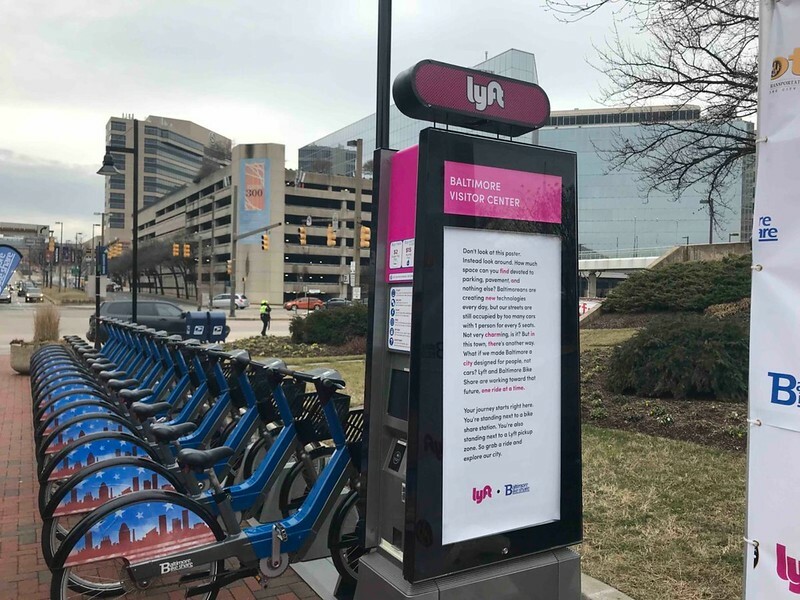 Lyft has entered into an agreement with the City of Baltimore and Baltimore Bike Share to transform bike-share stations into what the company is calling “co-located transportation hubs”. Lyft’s foray into bike-share comes on the heels of Uber’s entrance into San Francisco’s new dockless bike-share pilot. The San Francisco-based rideshare company will pay $270,000 to sponsor five Baltimore Bike Share stations for three years. These hubs will serve as Lyft pickup and drop-off locations, as well as a traditional bike share pickup/drop-off station. The Lyft app will be integrated into the Baltimore bike-share app, and vice-versa. Although users cannot reserve a bike from Lyft’s app, they will be eligible for 50 percent off up to two rides to or from any of the Lyft-branded stations between now and February 28th, 2018. It is interesting to note that Uber users do have the ability to both rent bikes and hail a car through that company’s bike-share program in San Francisco. “Whether someone is taking a Lyft ride from the suburbs to the city and hopping on a bike around downtown, or taking a bike to one of these hubs and meeting a Lyft driver for a trip to the other side of town, the multimodal transportation future is very bright for Baltimore,” said Mike Heslin, Lyft’s Baltimore Market Manager, in a statement. The initial five hubs are located downtown in high-traffic areas, including the Baltimore Visitor Center, National Aquarium, Harbor East, Hopkins Place and Shot Tower bike share stations. The kiosks will be rebranded with Lyft logos, and each hub will have official city signage denoting it as a passenger loading zone. “The city has been really forward thinking in taking five popular areas of the city and making those not just locations for bikeshare, but also passenger loading zones. People now will know this is a place they can go for all forms of shared mobility,” Heslin said. Baltimore Bike Share originally launched in October of 2016 at a cost of $2.36 million, with a 20-station system featuring 200 bicycles. The system was anticipated to eventually feature 500 bicycles and 50 stations, however financial difficulties coupled with operational deficiencies causing system-wide bike shortages led City officials to shut the program down from September 17th to October 15th. Baltimore Bike Share’s vendor Bewegen and the maintenance contractor, Corps Logistics reset the system during the shutdown period. The mid-October relaunch only included a quarter of the original fleet introduced back into the city-wide system. Lyft’s sponsorship will offer Baltimore’s struggling bike-share system some much-needed cash and introduce Lyft’s existing customer base to Baltimore Bike Share.